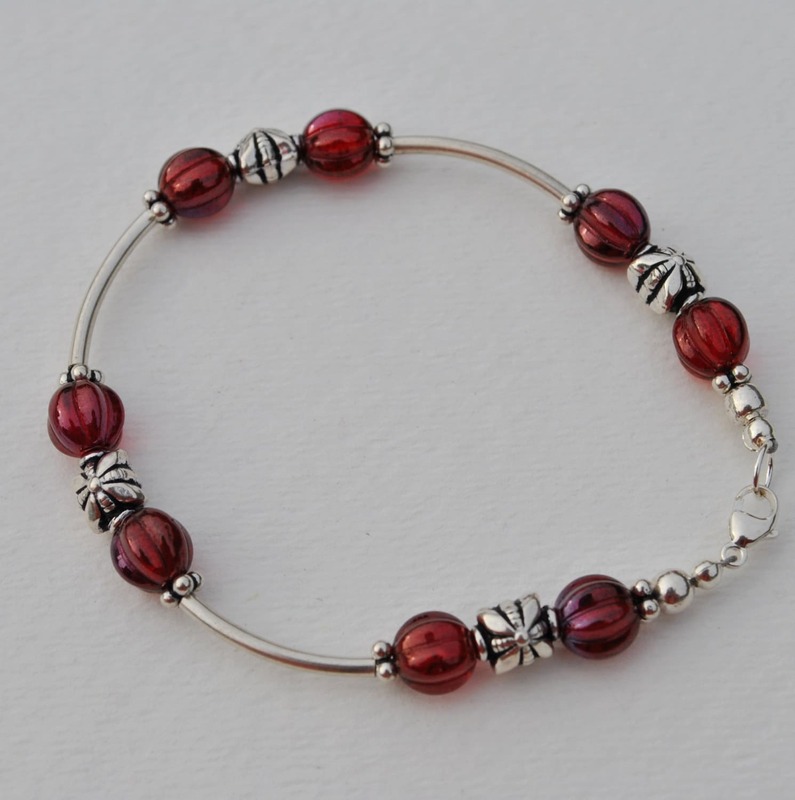 This lovely wine colored bracelet is made with Czech glass, sterling silver tube beads and Bali beads, it is completed with a sterling silver lobster clasp. 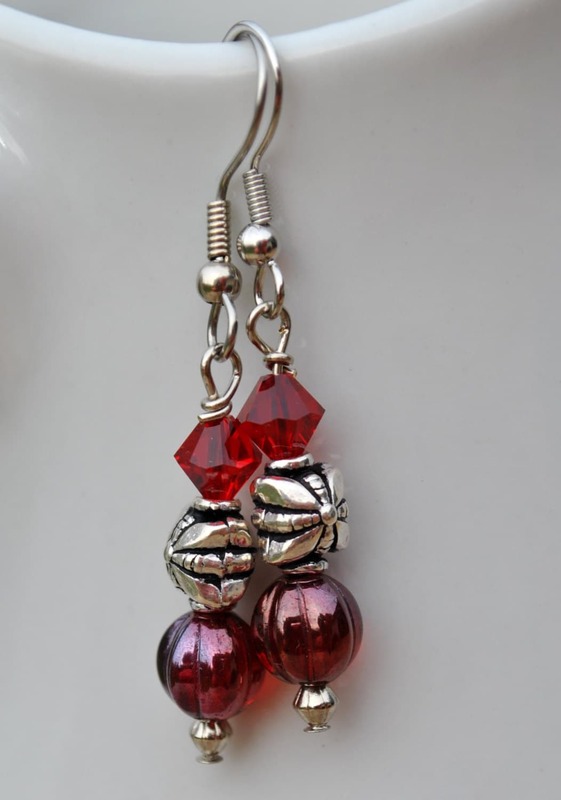 Matching earrings of Swarovski crystals, Czech glass and Bali sterling silver beads are included. 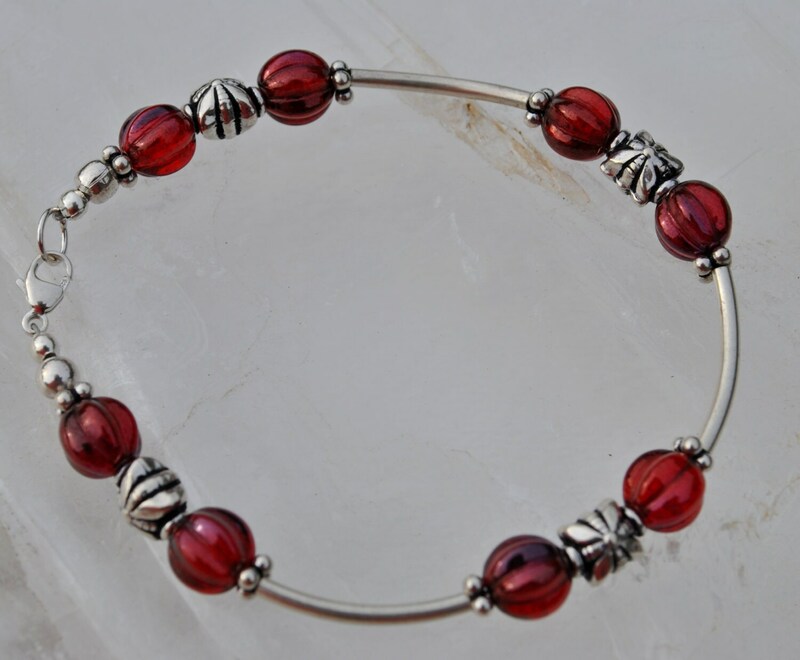 Makes a wonderful Christmas present! 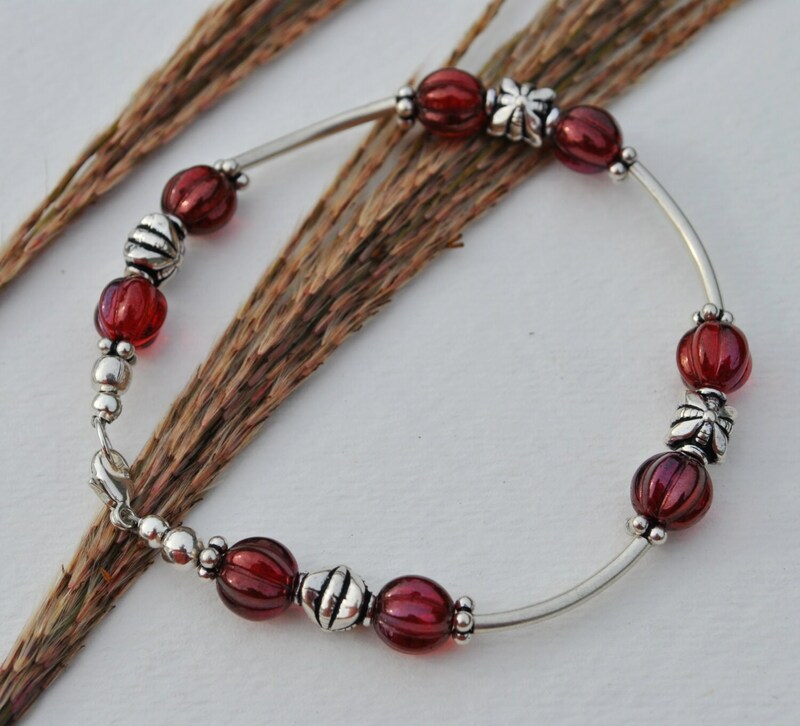 Sterling silver ear wires may be substituted for $5.00 Purchase them from the sterling silver ear wires section in my shop and I will assemble for you before I ship. 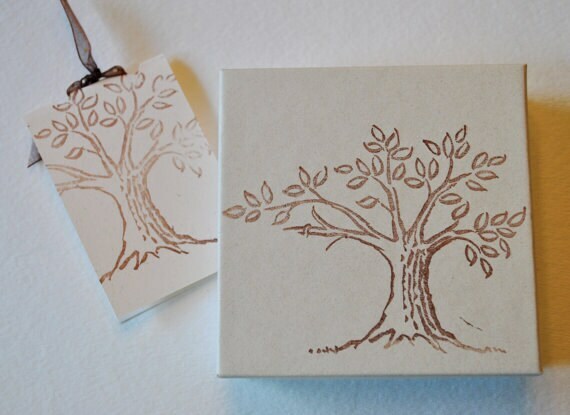 Your bracelet set will be packaged in a cute stamped box with cottony insert.